A model boat battle! 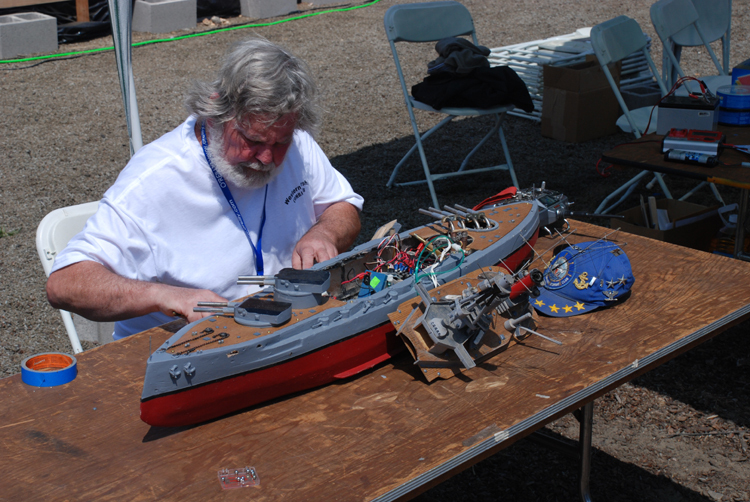 This guy is repairing his boat from a battle earlier in the day. The boats use CO2 cartridges to shoot 1/4 inch BBs at each other (you can see a few in the front of the picture). If a boat is hit enough times, it sinks.